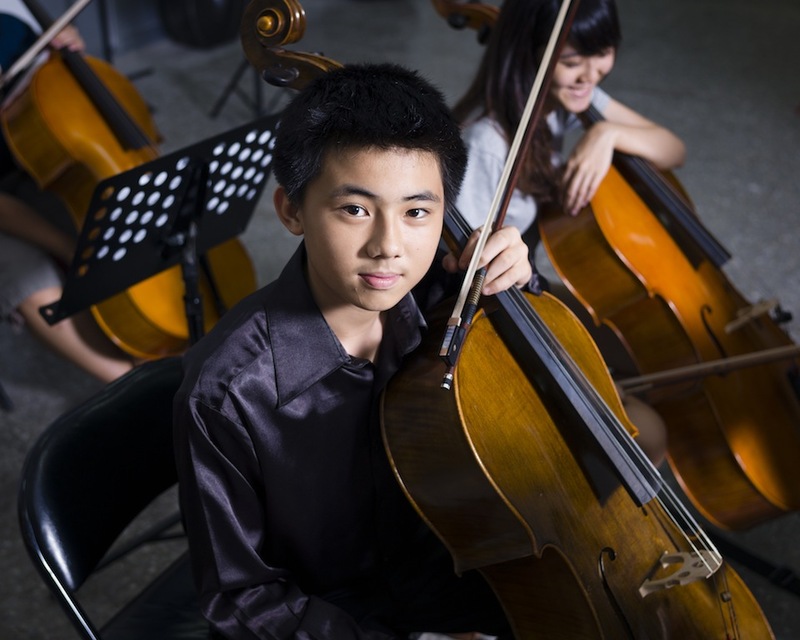 This is the Apex Orchestra in Kaohsiung practicing for their upcoming concert for Springwood Charity Foundation. Photographing an orchestra in rehearsal is tricky. 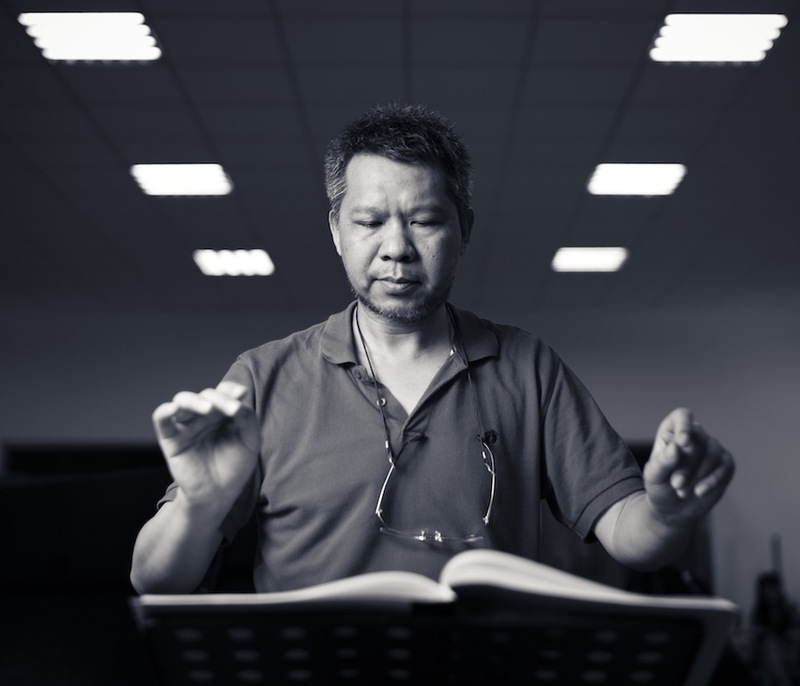 A large number of musicians all playing at the same time, active or inactive depending on where they are in the composition, all eyes on the conductor. The practice room location may often be uninspiring and it certainly was in this case. In addition, the fluorescent strip lighting in this and many other rehearsal spaces is flat and has odd colour. I found that to get good shots, you really have to work for it. In order to overcome this problem, I brought lighting – 1 x flash head, brolly box, triggered wirelessly. My conclusion – you ought to position yourself right in the thick of it – up close and right in front of the musicians and conductor. This could naturally disturb the musicians as they practise, especially with flash involved, but the chance to get up close is an advantage you can’t get during live performances. Best to get right in there, but do so for as short a time as possible and get your shots to minimise the disturbance. Using a large flashlight would not be allowed during a real performance, but one certainly can help to add some drama and interest to your photographs. The photo at the top of this page was selected to represent Kaohsiung’s culture in the 2013 photography book “Kaohsiung City of Charm”.